What happens elsewhere reaches us here. When the Twin Towers fell they shook the very foundations of our American beliefs. With this next threat, how will we respond? We had no idea anyone could actually invade us on our own turf and kill innocent civilians for no reason other than to force their ill-conceived radical religious ideals upon a people that never did a thing to cause them harm other than hold Christian values. Similarly, we seem to have re-adopted the same strange conviction that America is still somehow isolated from the bizarre events and evils the rest of the world must endure. But we don’t have the luxury of elitism any longer. We can’t, or shouldn’t turn a blind eye to injustices occurring on the other side of the world just because they’re too far away to make an immediate difference in our lives. In the world of radical Islamism, the tentacles of violence erupting from Sharia Law have already breached our borders. Have we forgotten so soon the cold-blooded, cowardly acts against the men, women and children of 911? Of course we haven’t. For that reason, because we cannot forget, and will not forget the war that was declared against this nation, we must not allow the rancid will of those inflicting Sharia Law upon others to continue unopposed. Meriam Ibrahim, a 26 year old mother pregnant with her second child will be put to death for her refusal to denounce her Christian faith in North Sudan. She was not a convert to Christianity from Islam, she has never been a Muslim. In addition, she is married to a U.S. citizen. Many believe that we should not be the police of the world, or engage in sensitive foreign matters, especially those involving a tyrant like Omar Bashir, President of North Sudan who wields his sword of injustice with righteous indignity. I don’t expect our President to dirty his ObamaCare hands on something so far removed from his personal agenda, but as citizens we must call him to action. We are not isolated from Sharia Law. It will continue to invade our own nation, and we must take a stand here and now. This is happening. We can’t pretend we didn’t know. 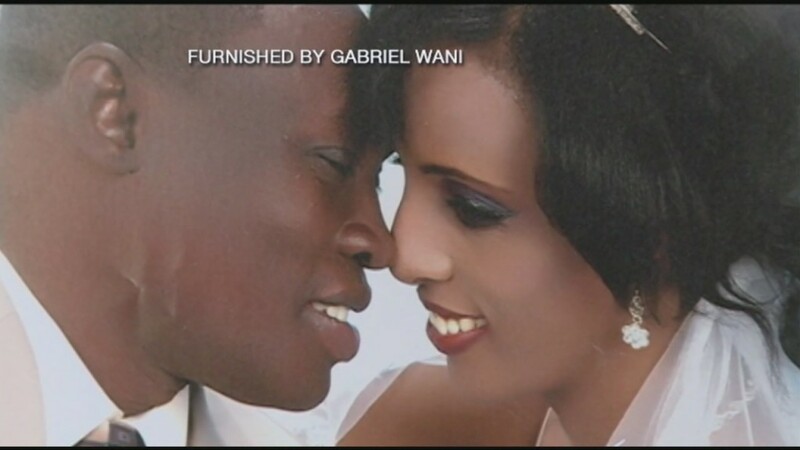 As soon as her baby is born and she has nursed it, Meriam Ibrahim will be hanged until she dies, simply because she has chosen to serve the risen Savior instead of the religion of the State. Perhaps you feel safe, not concerned with what’s coming. The men, women and children in the twin towers, in the airplanes, and on the streets who died felt safe on September 11th, 2001 up until that moment. Todd Beamer knew he had no hope of saving himself. That didn’t keep him from giving his life to save others by stopping that airliner before it reached its destination. Will we sit back now, and just change the channel? Previous: HOW HIGH IS THE PRICE IF YOU DON’T KNOW CHRIST? Next: HOW SHOULD I FEEL ABOUT THIS?